Emissions from diesel vehicles can cause skin problems, including accelerated ageing, new research suggests. According to Professor Krutmann, of the Leibniz Institute for Environmental Medicine, an increase in diesel pollutants of just 10 micrograms per cubic meter of air has the potential to increase pigmentation spots in skin by up to 25 per cent, the Daily Mail reports. This is partly due to higher levels of NO2 (Nitrogen Dioxide), which is highly toxic and more abundant in diesel exhaust fumes. Particulates - also more prevalent in diesel emissions – are another contributory factor. Despite being very small (as minute as one-thousandth of a millimeter), they are believed to have the ability to penetrate the skin and increase the growth of melanocytes. These are specialist cells that produce the skin-darkening pigment, melanin. This increase in the growth of melanocytes can lead to greater pigmentation of the skin. It can also aggravate eczema and cause skin inflammation. Professor Krutmann found in five studies (two in Germany, three in China) that people living in cities are more prone to these effects due to the greater concentration of diesel pollution. EU rules stipulate that the levels of NO2 and particulates should be no higher than 40 micrograms per cubic meter of air. However, air quality monitors in London have shown that levels can reach three times recommended levels. Do you live in a congested urban area? 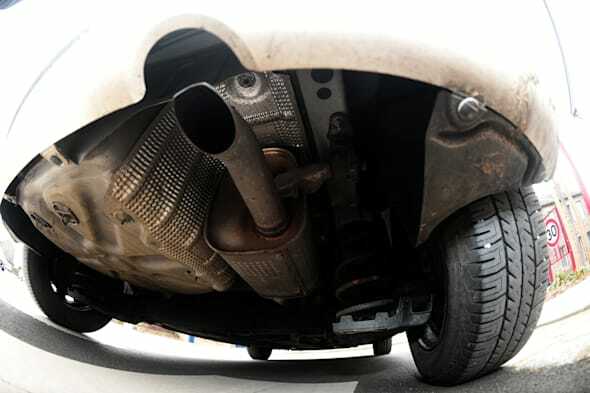 Have you suffered ill health that could be attributed to diesel pollution? Have your say in the comments section below.